Whole Life Insurance is coverage you can keep for a lifetime, without your monthly premiums ever increasing regardless of advancing age or declining health. Guaranteed Acceptance coverage available. Apply between ages 18-80. The proceeds of your life insurance policy may be paid to your beneficiary in as little as two business days after death. 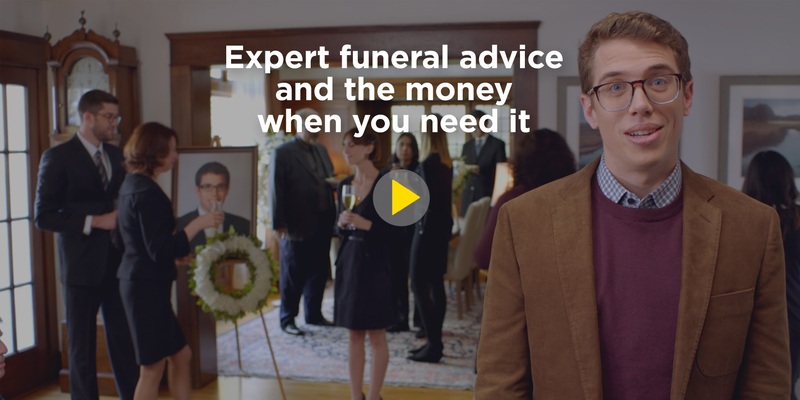 The money may then be used to pay funeral or cremation costs or any other expenses. Note: Some insurance policies contain a 2-year contestability period, which may prevent the insurance payout from being expedited. * Whole life insurance is underwritten by Western Life Assurance Company and distributed by EA Financial Services, Inc. It is available in Canada excluding Quebec and Thunder Bay. Western Life Assurance Company may be contacted at 400-200 Main Street, Winnipeg, MB R3C 1A8. Funeral planning and concierge services are provided under contract to Western Life Assurance Company by Everest Canada, LP. From time to time, Everest Services may change.